This decorated Christmas wreath is loaded. 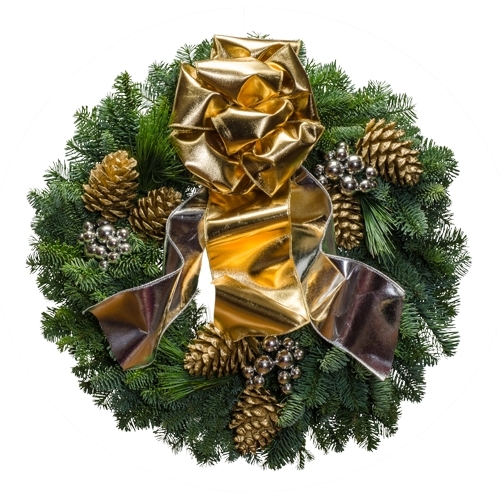 The luscious gold and silver metallic bow is extra wide and matches the gold painted cones and silver ornaments for a really stylish fashion statement for your front door. It is so chic. "Your wreaths are soooOOO beautiful!"